The losing streak is officially in the rearview mirror for the Issaquah Eagles boys lacrosse team. 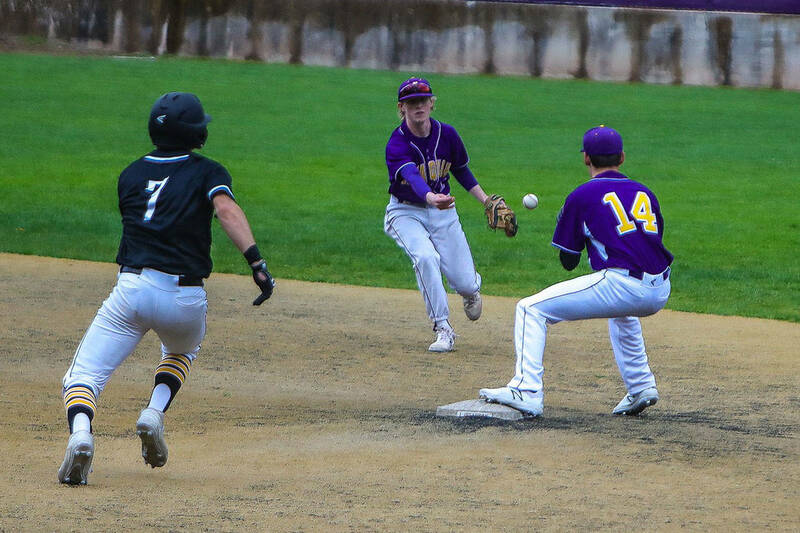 Issaquah earned its first victory of the 2019 season courtesy of a 11-3 win against the Roosevelt Roughriders on March 22 at Gary Moore Stadium in Issaquah. The Eagles, who improved their overall record to 1-4 with the triumph, dominated throughout the duration of the contest. Issaquah led Roosevelt 6-1 at halftime. Issaquah senior Spencer Berntsen scored two goals in the first quarter of play. Issaquah head coach Brandon Fortier was thrilled to see his team finally finish a game in the win column. “The first game we blew a 5-0 lead and lost by one (9-8 loss to Bainbridge Island on March 9). We also lost another game 9-8 to Snohomish and then we got our butts kicked by Mercer Island (17-2 loss on March 19). It is great to get the win and know we’re not going to go winless. Now we just have to focus on winning the right games and make the playoffs. That is our goal right now,” Fortier said. Issaquah player Matt Moss scored a game-high three goals in the win. Gaje Gunter and Cody Liddle added two goals apiece. Fortier said the strength of his team resides on the defensive side of the ball. “I think we are stronger on the defensive end. We’re a little green on the offensive end. Our strengths is in face-offs. Especially when Gaje (Gunter) is on the field. He is a great player who wins the ball. We also have the defense to keep us in games,” Fortier said.